Introducing the brand new 2018 oval plus series recycling twin compartment autobin. 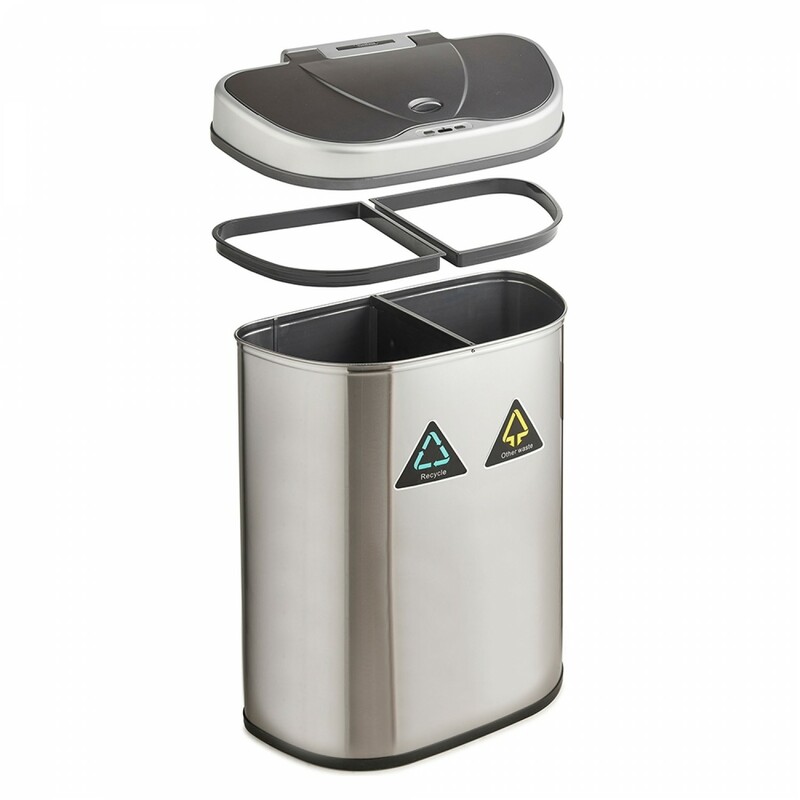 Semi, half-moon shaped sensor bin, offers 35 L + 35L with a solid partition to keep the separation of the household waste. 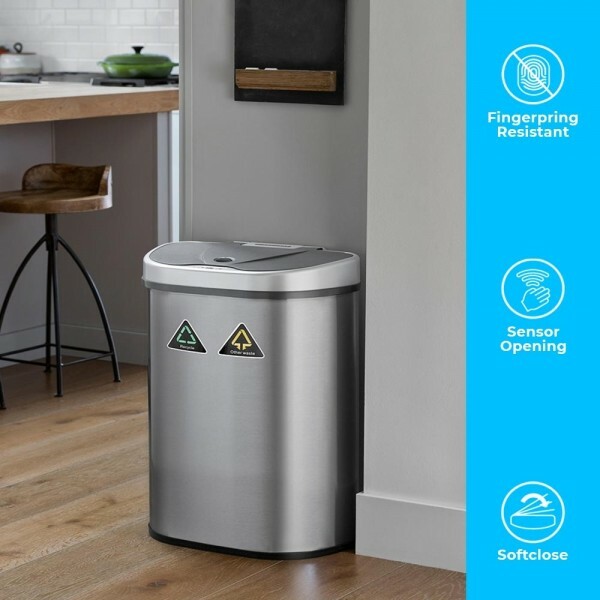 This durable and smart garbage trash can uses the most advanced motion sensor technology that can be found in all of the Ninestars premium bin range. 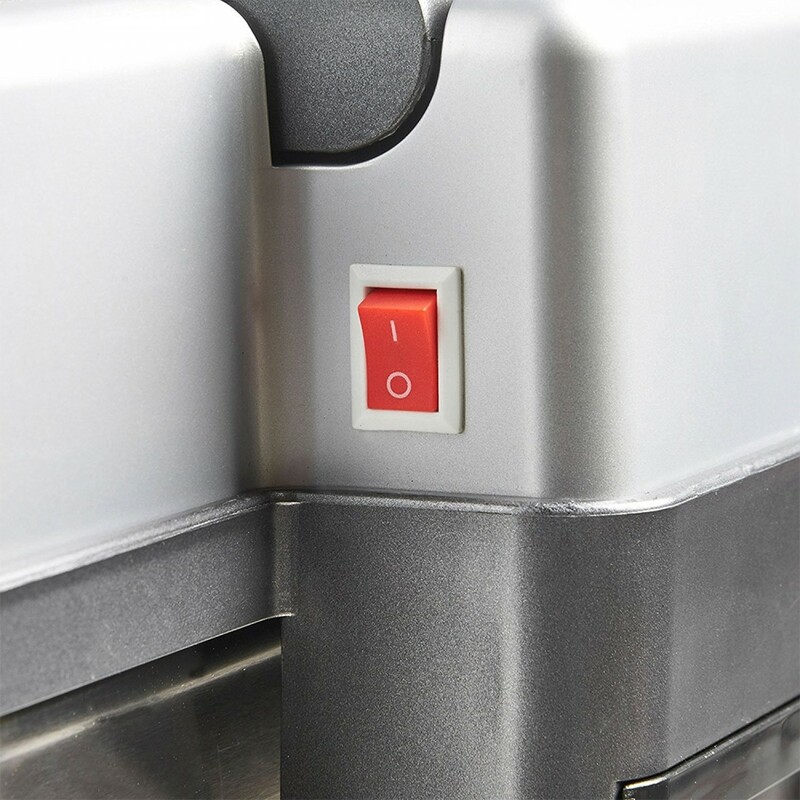 As your hand or debris within ten inches or 130 angles from the infrared sensor, the lid will automatically open and closes as soon as you move away. Eliminate kitchen germs while consolidating household rubbish with the Ninestars Motion Sensor Auto Open & closing Recycling Bin. Preventing cross-contamination of infectious diseases, germs and food impurities like E.coli, Staph and Salmonella, this hands-free operated bin offers a reliable and germ-reducing solution. Recycling is becoming a massive presence in our daily life, hence the introduction of our new double split waste bin. This offers a wide opening and easy access to dispose of your recycling needs, its split into two halves that allows you to separate waste paper, plastic, glass, bottle or general waste. A large capacity of 70 litres in total, split into twin compartments of 35 litres on each side for waste separation. The autobin is a tapered design; hence it allows the easy of bag change and Processing the routine waste disposal with ease. This smart sensor recycles bin also features a full stainless steel fingerprint resistant body which will look perfect and even elegant everywhere you decide to place it, regardless of the colour of the walls or even the ornaments that you could have there. Also, thanks to its smooth design, it is ideally shaped to fit almost everywhere so it won't take a massive part of the room. Power lasts up to 14 months in normal daily usage. It requires 4 x D-size batteries (not included). 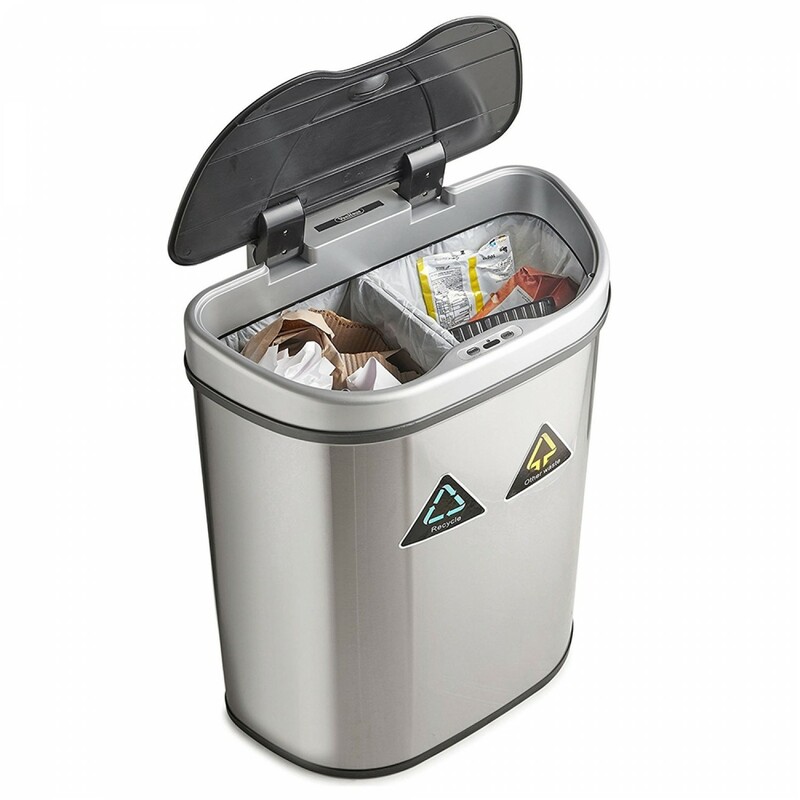 These user-friendly recycle bins with dual compartments make general sorting of recycling items convenient. Boasting a sleek design that complements any decor, this bin will become a kitchen essential, in every home. Features •	70 Litre Large capacity with two 35L twin compartments allows ease of sorting your recyclables. •	Premium stainless Silver steel Body that's finger-smear-smudge-mark resistant with a Non-skid-base. •	Uses 4 X D size batteries that last up to 18 months. The autobin can be used manually by using the open and close function. •	Supplied with two separate retaining bag holders that allow the use of any bin liner whilst preventing bag drop and hiding the ugly hangover. •	Seals odour in and eliminates cross-contamination of germs with a hands-touch-pedal free operation.